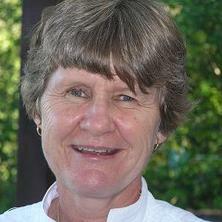 Professor Diane Donovan received her PhD from The University of Queensland in 1987 and has been an integral member of the Discipline of Mathematics and assoicated Schools since that time. She has two main research streams. 1) The application of polynomial chaos expansions for the modeling of physical problems involving uncertain parameters. We are developing methods to accurately and efficiently explore subsurface geometry. The current work is focussed on problems related to groundwater levels, gas extraction and storage. This work is joint with the Centre for Coal Seam Gas at the University of Queensland. 2) The study of mathematics structures, both discrete and continuous, and their applications to problems in science and engineering. Of particular interest is the development and testing of methods for robust sampling techniques. This interests is supported by a long history of publishing on experimental design, block designs, latin squares and associated algebraic structures. Computer simulations are being developed based on mathematical models that seek to forecasts natural processes, such as rainfall patterns or capacity of subsurface water/gas reservoirs. Scientifically two problems arise: It is hard to build computer simulations that capture the full complexity of physical processes. For instance, how do we model the movement of water through interconnecting aquifers deep underground? In addition, often there is a shortage of field data, which can vary across regions. For instance, can we accurately quantify local rainwater runoff rates, seepage rates and penetration depths? Traditional scientific methods struggle to capture the uncertainty in these natural processes. My research takes an alternate approach. Using polynomial chaos expansion technqiues I use a smallish amount of field data, couple it with a few implementations of the complex model, and construct “approximate” forecasting tools. The interplay of the mathematical theory results in fast and accurate forecasting tools. Discrete structures, such as latin squares, have many diverse applications, some of the best known being in the design of experiments, in biotechnology and in information security. One area of interest is the identification of defining sets (or critical sets) for these structures; that is, a minimal subset of entries which uniquely defines the structure. One of the most fundamental and interesting questions relating to defining sets is that of the spectrum or the set of allowable sizes. Other areas of research interest involve applying combinatorial techniques to problems in information security, and to applications in biotechnology, energy markets and cognitive reasoning. Dawson, Ed and Donovan, Diane Shamir's scheme says it all. Publ by Elsevier Science Publishers B.V., 1993. Donovan, D. M., Mahmoodian, E., Ramsay, C. and Street, A. P. (2003). Defining sets in combinatorics: a survey. In C.D. Wensley (Ed. ), Surveys in Combinatorics 2003 (pp. 115-174) UK: Cambridge University Press. Donovan, D. M., Khodkar, A. and Street, A. P. (2003). On minimal defining sets in AG( D, 3). In W.D. Wallis (Ed. ), Designs 2002: Further Computational and Constructive Design Theory (pp. 103-131) Massachusetts, USA: Kluwer Academic Press. Donovan, Diane M. and Grannell, Michael J. (2018) On the number of additive permutations and Skolem-type sequences. Ars Mathematica Contemporanea, 14 2: 415-432. Donovan, Diane M., McCourt, Thomas A., Griggs, Terry S. and Kozlik, Andrew R. (2018) Types of directed triple systems. Australasian Journal of Combinatorics, 71 3: 485-500. Cavenagh, Nicholas J., Donovan, Diane M. and Demirkale, Fatih (2017) Orthogonal trades in complete sets of MOLS. Electronic Journal of Combinatorics, 24 3: 1-15. Donovan D.M., Griggs T.S. and Psomas C. (2013) On biembedding an idempotent latin square with its transpose. Acta Mathematica Universitatis Comenianae, 82 1: 11-20. Cavenagh, N. J., Donovan, D. and Khodkar, A. (2008) Minimal Defining Sets of 1-Factorizations of Complete Graphs. Utilitas Mathematica, 76 191-211. Billington, Elizabeth J., Donovan, Diane M. and Smith, Nicole (2008) Packing a complete graph of order 5 (mod 6) with triangles: a new method. Bulletin of the Institute of Combinatorics and its Applications, 53 77-81. When is a partial Latin square uniquely completable, but not its completable product? Cavenagh, N. J., Donovan, D. M. and Khodkar, A. (2007) On the spectrum of critical sets in back circulant latin squares. Ars Combinatoria, 82 287-319. Donovan, D. M., Hamalainen, C. and Street, A. P. (2007) Seeking solutions to Suduko squares. Pi in the Sky, 10 7-12. Cavenagh, N. J., Donovan, D. M. and Drapal, A. (2005) 4-homogeneous latin trades. Australasian Journal of Combinatorics, 32 285-303. Cavenagh, NJ, Donovan, D and Gower, RAH (2005) A new class of critical sets in Latin squares. Utilitas Mathematica, 67 -: 285-300. Donovan, Diane, Fu, Chin-Mei and Khodkar, Abdollah (2004) An investigation of 2-critical sets in latin squares. Ars Combinatoria, 72 223-234. Donovan, D. M., El-Zanati, S. I., Vanden Eynden, C. and Sutinuntopas, S. (2004) Labelings of unions of up to four uniform cycles. Australasian Journal of Combinatorics, 29 323-336. Donovan, D. M. and Khodkar, A. (2004) Uniform critical sets in Latin squares. Journal of Combinatorial Mathematics and Combinatorial Computing, 48 3-23. Donovan, Diane, Pickett, Trevor and Wilson, Richard (2004) Visualising energy data. The ANZIAM Journal, 46 5: C956-C970. Donovan, D. M. and Khodkar, A. (2003) Product constructions for critical sets in latin squares. Journal of Combinatorial Mathematics and Combinatorial Computing, 46 227-254. Donovan, D. M., Khodkar, A., Sutinuntopas, S. and Thappia, S. (2002) A note on critical sets in latin squares of order 2n-1. Congressus Numerantium: a conference journal of numerical themes, 79 12: 215-219. Donovan, D. M. and Mahmoodian, E. (2002) An algorithm for writing any Latin interchange as a sum of intercalates. Bulletin of the Institute of Combinatorics and its Applications, 34 90-98. Donovan, D, Gower, RAH and Khodkar, A (2002) Latin interchanges and direct products. Ars Combinatoria, 64 271-287. Bean, R. and Donovan, D. M. (2000) Closing a gap in the spectrum of critical sets. Australasian Journal of Combinatorics, 22 191-200. Donovan, D. M. (2000) The completion of partial latin squares. Australasian Journal of Combinatorics, 22 247-264. Donovan, D. M. and Howse, A. (2000) Towards the spectrum of critical sets. Australasian Journal of Combinatorics, 21 107-130. Donovan, D. M. (1999) Critical sets in Latin squares of order less than 11. Journal of Combinatorial Mathematics and Combinatorial Computing, 29 223-240. Donovan, D (1998) Critical sets for families of Latin squares. Utilitas Mathematica, 53 3-16. Dawson, Ed, Donovan, Diane and Offer, Alan (1996) Quasigroups, isotopisms and authentication schemes. Australasian Journal of Combinatorics, 13 75-88.
Cooper, J, Donovan, D and Gower, RAH (1996) Critical sets in direct products of back circulant Latin squares. Utilitas Mathematica, 50 127-162. Combinatorial questions: how can graph labelling help? Change detection through clustering and spectral analysis. Are there three MOLS of Order 10? Cavenagh, N. J., Donovan, D. M. and Hamalainen, C. (2005). Are there three MOLS of Order 10?. In: J Ryan, P Manyem, K Sugeng and M Miller, Proceedings of the sisteenth Australasian Workshop on Combinatorial Algorithms. Australasian Workshop on Combinatorial Algorithms, Ballarat, (57-66). 18 - 21 September 2005. Donovan, D. M., Hamalainen, C. and Khodkar, A. (2004). On greedy critical sets in latin squares. In: Seok-Hee Hong, Proceedings of the Fifteenth Australasian Workshop on Combinatorial Algorithms (AWOCA 2004). Fifteenth Australasian Workshop on Combinatorial Algorithms (AWOCA 2004), Ballina, N.S.W., Australia, (529-535). 6-9 July 2004. Donovan, D. M., Fu, C.-M. and Khodkar, A. (2002). An investigation of 2-critical sets in Latin squares. In: D. Donovan, Proceedings of the Thirteenth Australasian Workshop on Combinatorial Algorithms. AWOCA 2002, Fraser Island, Queensland, (309-332). 7-10 July, 2002. Donovan, D. M. and Khodkar, A. (2002). Premature partial Latin squares and critical sets. In: E.J. Billington, D.M. Donovan and A. Khodkar, Proceedings of the Thirteenth Australasian Workshop on Combinatorial Algorithms. AWOCA 2002, Fraser Island, Queensland, (115-126). 7-10 July, 2002. Donovan, D. M., Fu, C.-M. and Khodkar, A. (2001). A discussion of 2-critical sets in Abelian 2-groups. In: E.T. Baskoro, Proceeding of the Twelth Australasian Workshop on Combinatorial Algorithms. Australasian Workshop on Combinatorial Algorithms, Bandung, Indonesia, (88-96). 14 July - 17 July 2001. Donovan, D. M. (2000). Interactive Discrete Mathematics. In: R. L. May, G. F. Fitz-Gerald and I. H. Grundy, EMAC 2000. 4th Biennial Engineering Mathematics & Applications Conference EMAC 2000, Royal Melbourne Institute of Technology, Melbourne, (131-133). 10-13th September 2000. Bean, R., Donovan, D. M., Khodkar, A. and Street, A. P. (2000). Steiner trades that give rise to completely decomposable latin interchanges. In: Ljiljana Brankovic and Joe Ryan, Proceedings of the Eleventh Australasian Workshop on Combinatorial Algorithms. Eleventh Australasian Workshop on Combinatorial Algorithms, Hunter Valley, NSW, Australia, (17-30). 20th July - 1st August 2000. Dawson E., Donovan D. and Rahilly A. (1992). Methods for sharing cryptographic keys. In: Conference on Communication Technology, Services and Systems - COMMUNICATIONS '92, Sydney, Aust, (135-139). October 20, 1992-October 22, 1992. Graph decompositions and their defining sets.